Kiera graduated in 1998 and is a Chartered Physiotherapist, with current membership of the ISCP and CSP. 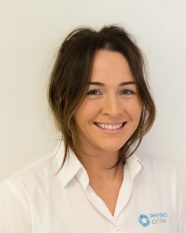 Kiera specialises in the treatment of musculoskeletal injuries such as- back /neck/ joint pain and sports injuries with particular interest in chronic injuries. Kiera uses Acupuncture in isolation and in conjunction with other physiotherapy treatments. Kiera incorporates Pilates as part of injury prevention and rehabilitation. 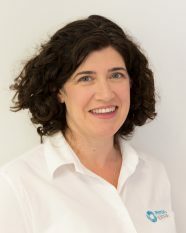 Kiera has been involved in the Chartered Physiotherapists in Acupuncture clinical interest group for many years, it’s main function is the educate physio’s and promotion of post-graduate education within the field of Acupuncture. During her time off, Kiera enjoys running … preferring 10km races but was privileged to get to run the New York Marathon in 2015. She also loves strength training in the gym and has recently taken up GAA for Mother! Emma graduated with a BSc Honours Degree in Physiotherapy from University College Dublin. Emma is experienced in treating musculoskeletal injuries – back , neck and joint pain. She is specifically interested in sports injury and rehabilitation and comes from an extensive sporting background. Emma further trained in the area of myofascial trigger point therapy and dry needling which she uses with great results. Emma is a Stott Pilates instructor and is current member of the ISCP. Emma teaches Pilates On Wednesday evening in Stillorgan. During Emma’s time off she enjoys training in the gym and running. Eilis Connery is a runner, duathlete and Chartered Physiotherapist. 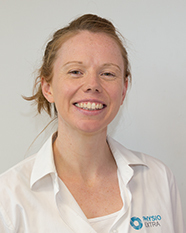 Eilis has worked mainly in the private practice setting for the past 8 years and has completed a degree in Physiotherapy in UCD and a Masters in Musculoskeletal and Sports Physiotherapy in Australia. Eilis is a particular interest in the treatment of Chronic pain. Eilis has competed for Ireland in both track and field and duathlon. Lorraine qualified from UCD in 1996 and has extensive Paediatric (Children) experience at home, in the UK and Australia. Initially, Lorraine worked in the larger teaching hospitals such as Aintree NHS Trust, Alder Hey Childrens’ Hospital and Birmingham Childrens’ Hospital, in Child Health in the Adelaide & Meath incorporating the National Childrens’ Hospital, Tallaght. For the last 10 years Lorraine has been working in the area of Community Paediatrics as well as being a member of an Early Intervention team. Within the area of Paediatrics I have many years of experience in treating conditions such as torticollis, plagiocephaly, positional talipes, flat feet, intoeing/outtoeing, developmental delay as well as sports injuries and joint/muscle pain in children. I also have experience of treating children with dyspraxia and autism. I have a specialised interest in joint hypermobility. During her spare time she enjoys Zumba and Yoga Barre. Philippa Harvey manages our clinic to ensure that your experience from booking appointments or pilates classes runs as smoothly as possible. If you have any questions or queries please call Philippa on 012000555 or email info@physioextra.ie. You can Book Online for Physio or Pilates classes.